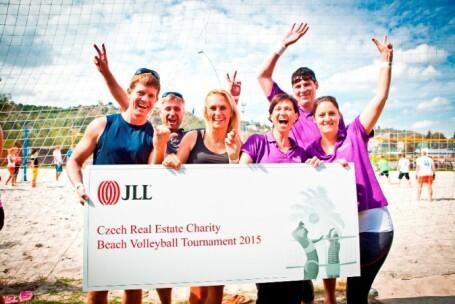 On Thursday, September 3rd, Palmer Capital participated in the Czech Real Estate Charity Beach Volleyball Tournament 2015 at Žlutné lázně to raise money for children as well as senior citizens in need. Seventeen teams participated in the tournament organized by the international real estate advisory company – JLL, which at the end all donated a total of CZK 231,396 to two charities – FOD Klokánek, which supports children in need of immediate help, and to the Taťána Kuchařová Foundation – Beauty of Help, which focuses on seniors and deals with their needs. At the end of the tournament, all of the Palmer Capital players and guests enjoyed a beach party, because there’s nothing better to celebrate than generosity for those who need it most!